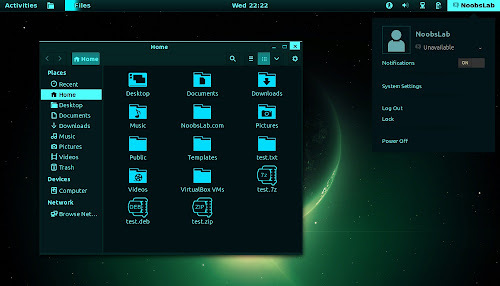 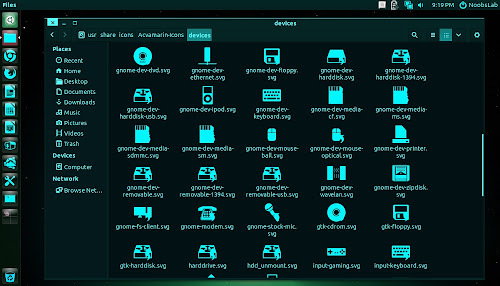 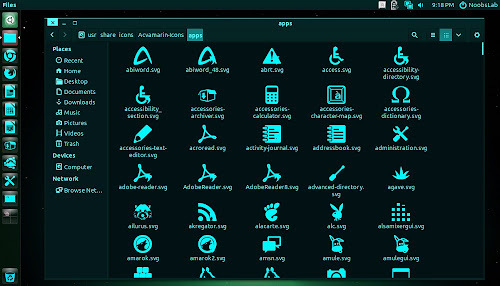 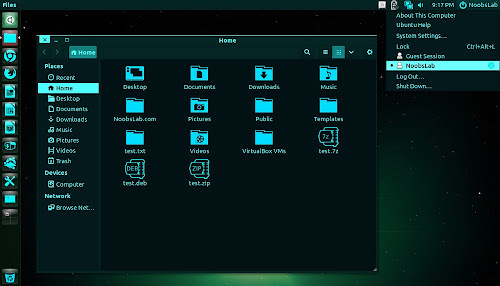 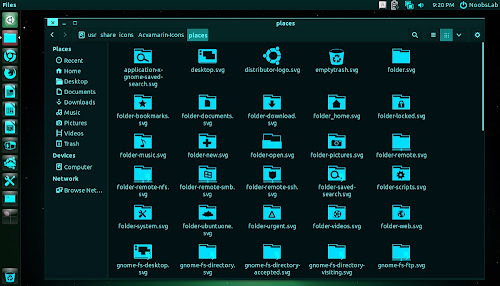 Acvamarin gives flavor of neon to the desktop, both theme and icons are related to each other. 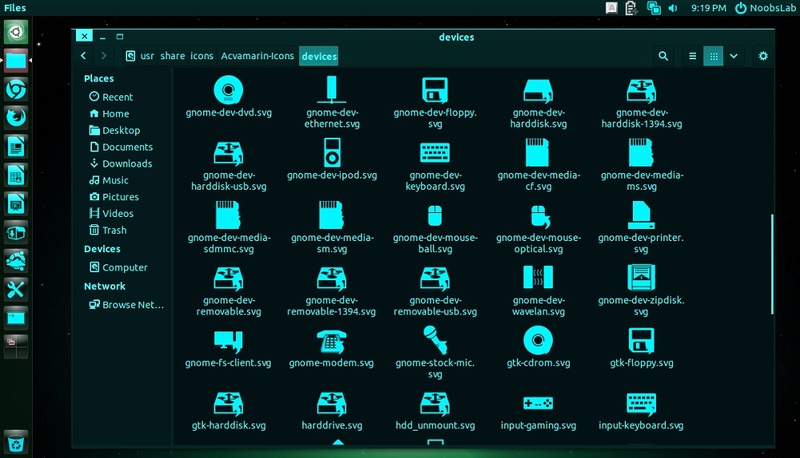 This set is designed to work with latest GTK and Gnome Shell. 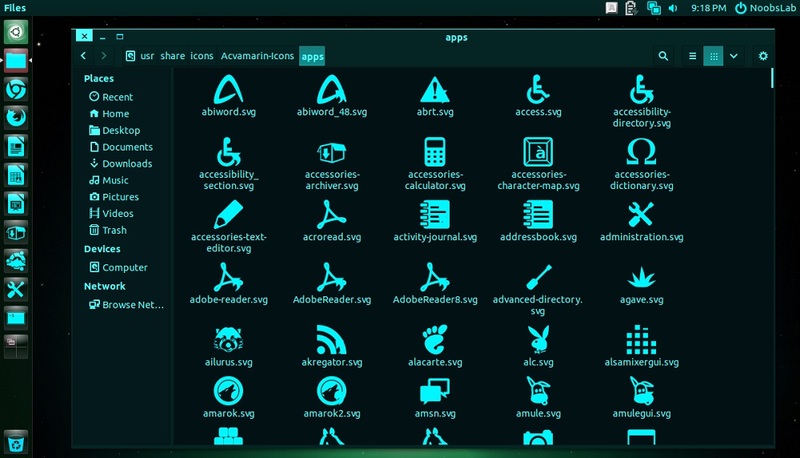 There are also cursors included in this pack which can be changed from tweak tool. 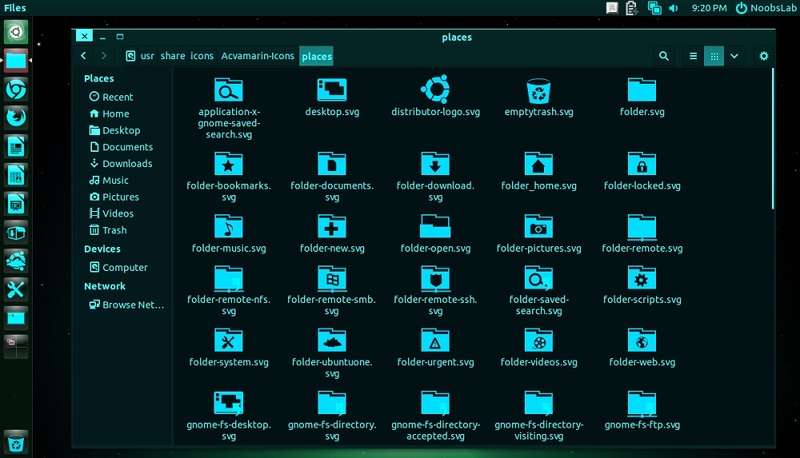 If you found any missing icon or bug in theme go to source link and report to creator of this set.